GlaxoSmithKline, the British-based pharmaceutical firm, is to be investigated by the Serious Fraud Office (SFO) over its "commercial practices". The company said it would "co-operate fully" with the SFO. Earlier this month, Chinese authorities accused GSK staff of bribing government and hospital officials in the country. GSK refused to comment on whether the SFO's investigation was connected to this incident. The pharmaceutical giant is also facing a criminal investigation into similar allegations in Poland and Iraq. If the allegations in either country are proved, GSK may have violated both the UK Bribery Act and the US Foreign Corrupt Practices Act. It is illegal for companies based in the US or UK to bribe government employees abroad. 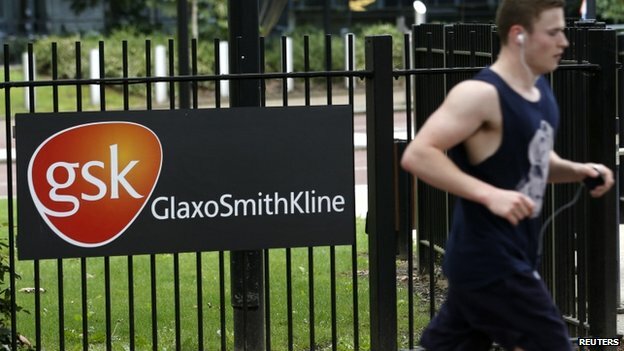 In a statement, the Serious Fraud Office confirmed it had "opened a criminal investigation into the commercial practices of GlaxoSmithKline plc and its subsidiaries". The agency added that "whistleblowers are valuable sources of information to the SFO in its cases" and that it welcomes "approaches from anyone with inside information on all our cases including this one". In April, BBC Panorama heard from whistleblower Jarek Wisniewiski, a former sales rep for GSK in the Polish region of Lodz, who told the programme doctors were paid to promote the company's asthma drug Seretide. Eleven doctors in the country and a GSK regional manager were charged over alleged corruption between 2010 and 2012, BBC Panorama revealed. GSK has previously confirmed that it informed the SFO, as well as the US Department of Justice and the US Securities and Exchange Commission, about the Chinese investigation.